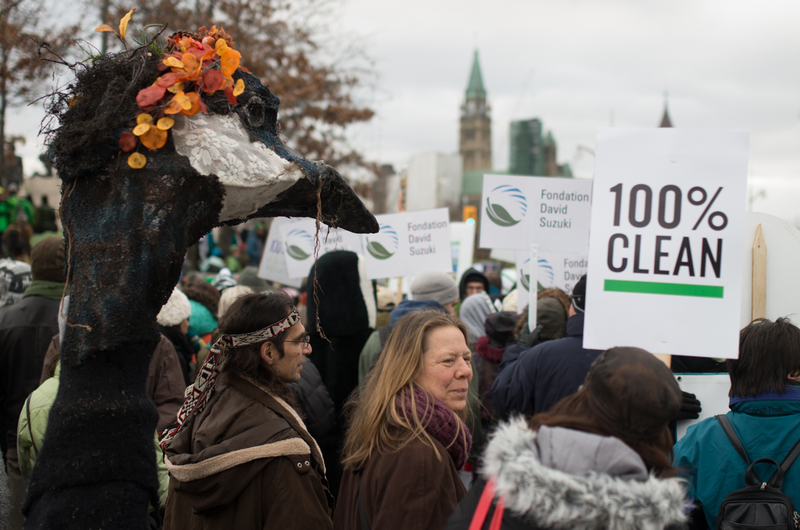 Thousands of people marched in Ottawa’s contribution to the Global Climate day today. 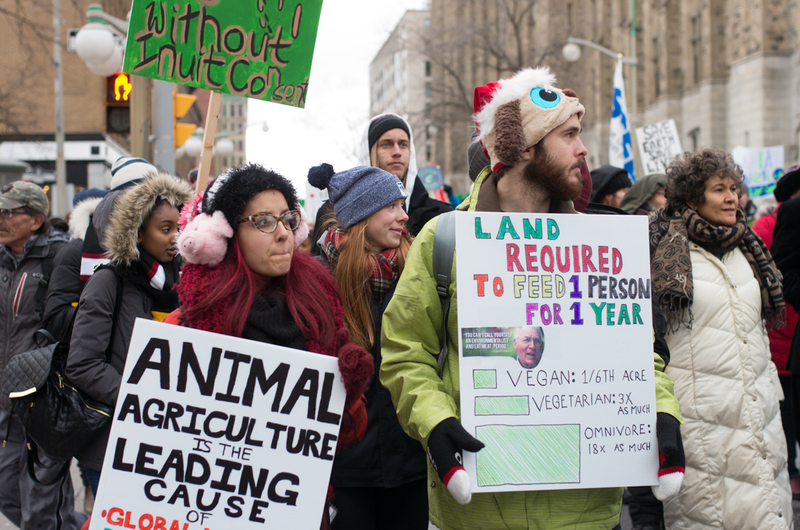 The march began at City Hall and continued to Parliament Hill. Organizers say over 2,000 similar events are being held around the world, from Sao Paulo to Sydney to Seoul. 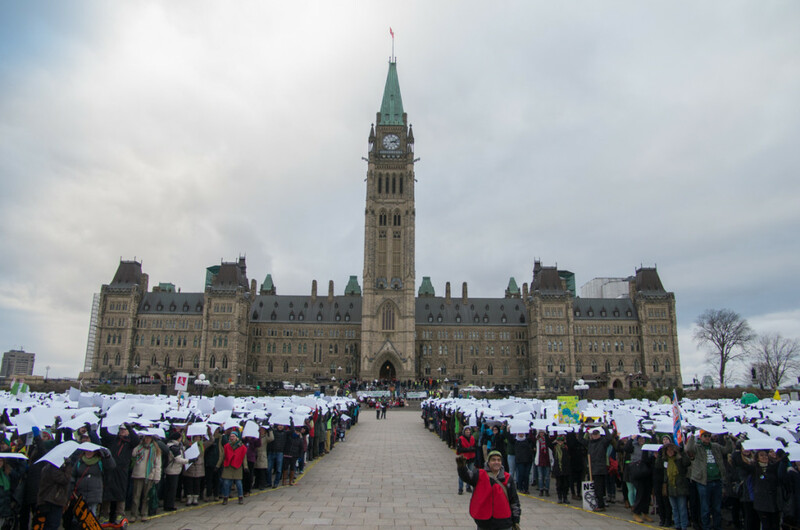 Ottawa is one of “several key cities” for demonstrations. The Climate protest precedes the start of the Paris COP21 Climate Conference where World leaders including Prime Minister Justin Trudeau are meeting to discuss climate change issues. 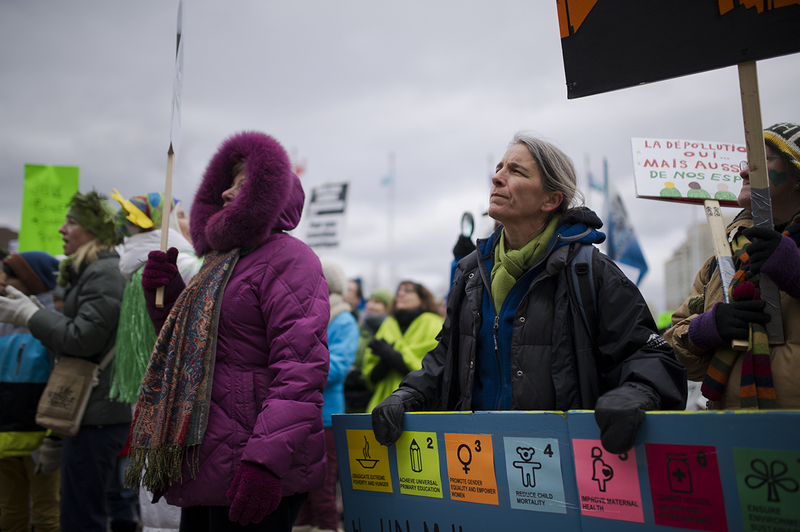 The COP21 website says that their annual forum “establishes and builds partnerships between business, government and public bodies to accelerate international sustainable development and advance the ‘green economy’.” Protesters around the world are calling for governments to make greater commitments to address climate change. 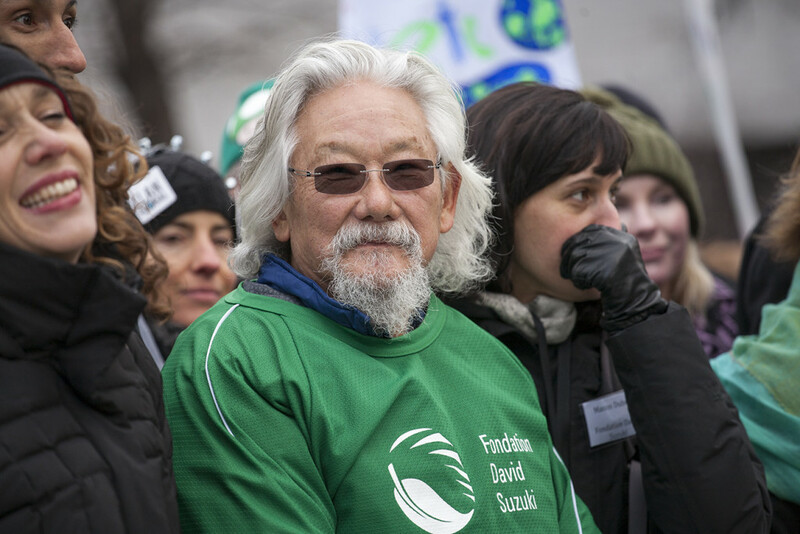 David Suzuki was present at the beginning of the march. Shaun Majumder joins march with a furry friend.